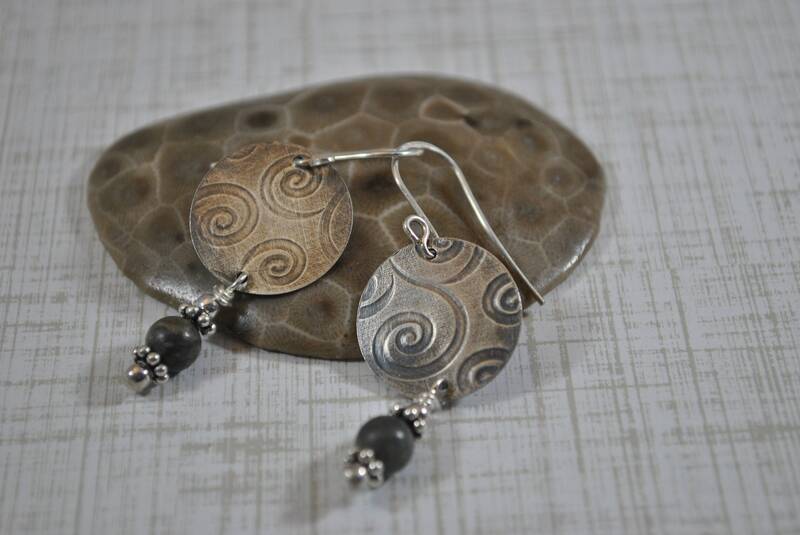 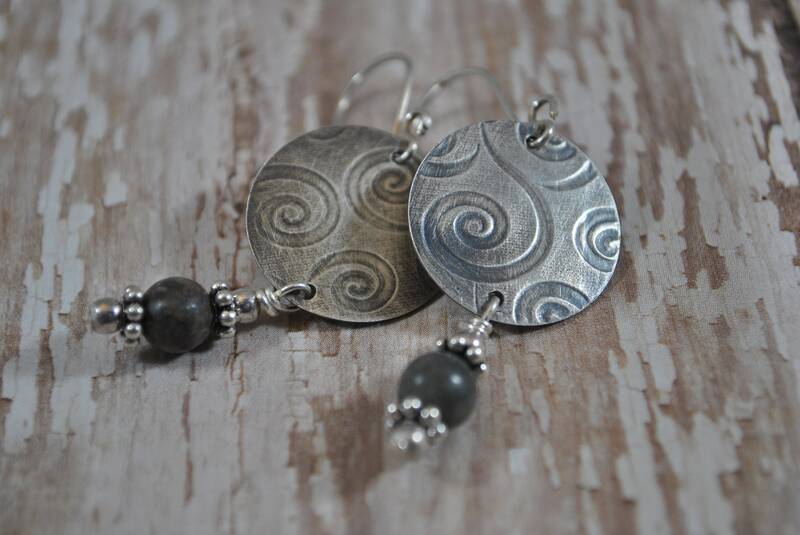 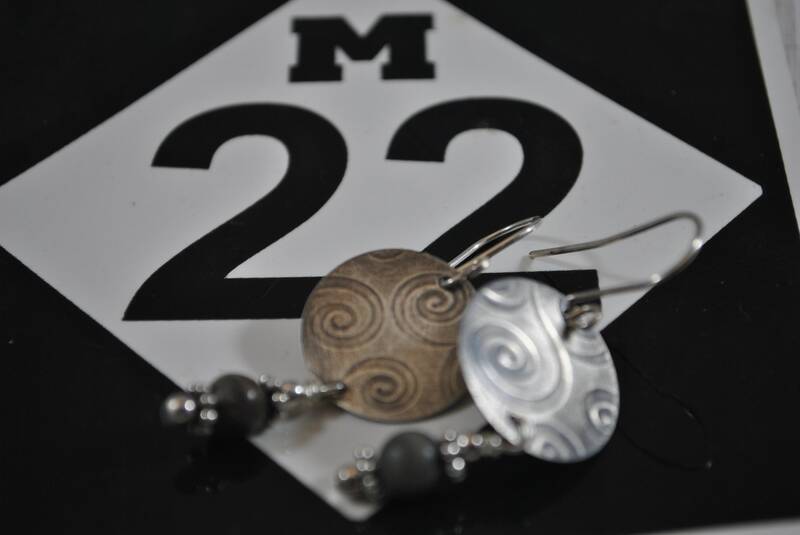 Genuine Lake Michigan Petoskey stone beads hang from sterling silver swirl circles in these handcrafted earrings. 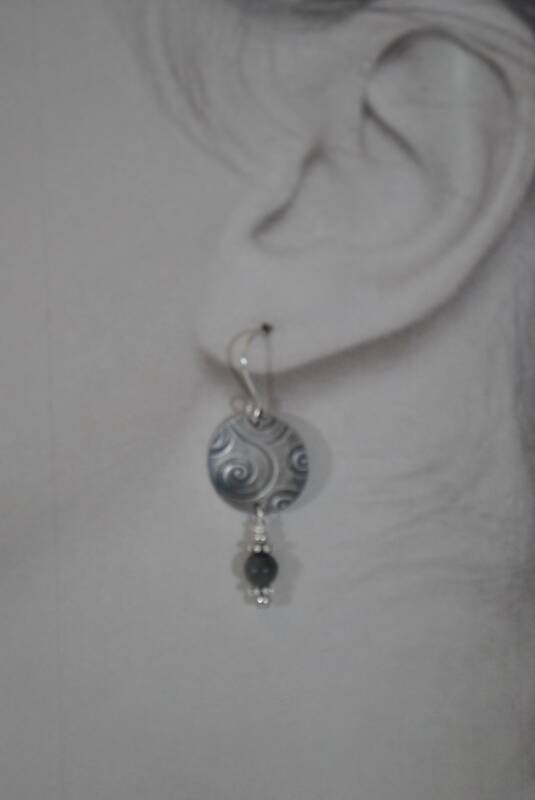 Simpy elegant! 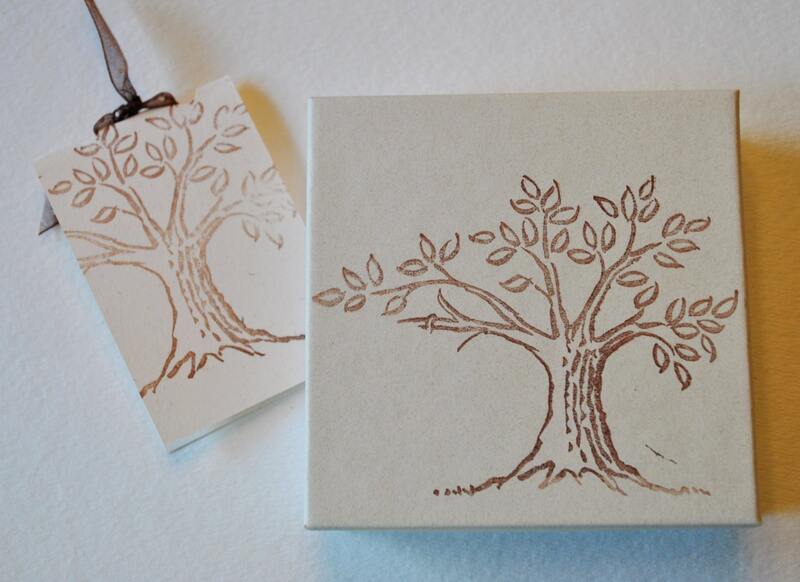 Beautiful- just like the picture.